Apple’s Newsstand was introduced with iOS 5 as a place for apps designed to deliver content in the form of a periodical—whether continuously as new articles or in the form or regularly produced issues—to gain superpowers. A Newsstand app could change its cover each issue, update images on demand in the App Store, automatically download content in the background, and have a free trial period. Then, after some fanfare, and major publications adopting the Newsstand format, emphasized on the iPad but available on the iPhone and iPod touch as well, Apple more or less left it to rot. In iOS 7, they hid the embarrassment of the tumbleweeds surrounding Newsstand by removing the tiny cover previews that used to dot the skeuomorphic interior, making it a flat, unchanging icon, while turning the special folder’s interior into something unexceptional, even homely. I’ve followed this transition closely: first as the executive editor of The Magazine, a publication created exclusively for the iOS 6 version of the Newsstand by its owner, Marco Arment; then, after purchasing it from Marco, as its publisher and chief bottlewasher. After over two years in publication, we plan to stop producing new issues after our December 18 issue, but continue to maintain and update the app and our Web archives. Newsstand was part of Apple’s multipronged effort to woo publishers to bring their media to the iPad primarily, although they encouraged iPhone/iPad universal apps, which most publishers embraced. However, Newsstand was and perhaps remains a key miscalculation on Apple’s part as a tool for publishers. The notion was that Apple would offer unique options to Newsstand apps, a special permanent folder on the home screen, and promotion in the iTunes Store in exchange for the investment of time and money by publishers to participate. This included background downloads, the ability to change the app’s icon as a cover and iTunes Store screen captures on demand, and the use of an XML feed to provide details as new issues appeared for publications that didn’t just deliver a stream of updated articles. Apple would take its 30 percent from subscriptions consummated in the app, and originally had onerous terms about the app only offering subscriptions and subscription durations that were the same in the app as anywhere else (Web, print ads, mailings, and the like). Periodicals survive in the long term by replacing the inevitable cancelled or lapsed subscriptions with new ones. That’s an obvious fact. Publishers need to measure churn carefully, and they produce tailored offers for renewal to existing subscribers. It’s much less expensive to retain someone who already gets your publication than to acquire a new reader. Publishers may spend more than the yearly subscription price to get a new subscriber; it’s only in subsequent years that they make profit. Apple severed this relationship in part through its seemingly customer-focused approach to privacy. While as a consumer and a publisher, I love that Apple would rather withhold private information (such as name, address, phone number, and email) from other parties than disclose it. But this is a mismatch in the periodical world. If you’ve ever gotten seven or ten tiny envelopes from a publication with increasingly frantic attempts to get you to renew—“A toaster oven! A world almanac! 50% off! A free subscription for the student in your home!”—or the equivalent email message, you know that the ability to reach someone directly is highly prized. The 30-percent fee was clearly not an issue so much as that the fee never reduced: If Apple had taken 15 percent in subsequent years, perhaps it would have been more compelling. Instead, rather than reap most of the reward for renewing subscriptions, publishers had to give up a good chunk to Apple. And Apple missed three big things, which I’m surprised to this day that it did: Magazines didn’t want to develop a new production workflow, didn’t typically want to bear the cost of app development in house or through contractors, and were required to produce “digital replicas” to count issues towards circulation in setting ad rates. These three factors led many publications to push issues, sometimes with multimedia elements added, through Adobe’s tools into issue containers. However, customized and even later spiffed up these containers were, they were still focused on the print edition and print workflow. We are only in the last year finally seeing the shackles removed and entirely new kinds of periodical apps appear—it requires publications to launch new versions, invest heavily, or rely on subscriptions instead of advertising. 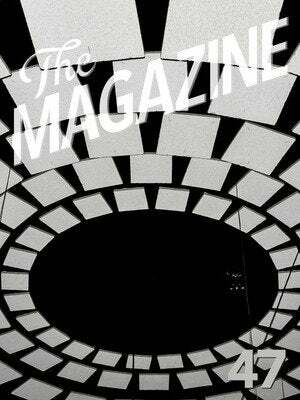 The Magazine has been the marquee independent publication in the Newsstand. I don’t claim this out of egotism—given that I’m about to stop publishing new issues, that would be a strange trophy to grab. Rather, it’s based on both the way in which the app was seized on when Marco introduced it and cited as an example in the last two years, and by the relative position of our app in the top-grossing list in iTunes, where I know what my figures are and can thus deduce the relative position of much, much larger publications. 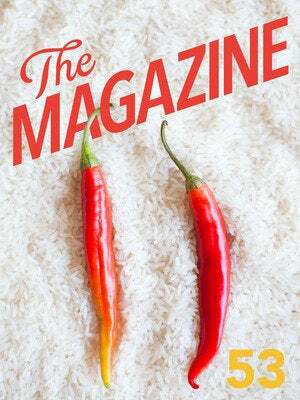 By creating a streamlined publication from scratch that had all the subtlety of one of the most experienced iOS programmers—who had also built and grown Instapaper—coupled with Marco’s clean design aesthetic (aided by Louie Mantia and his colleagues at Pacific Helm), The Magazine seemed to embody everything that Apple was striving for with the Newsstand. We also paid writers well for digital-only work: somewhere above the typical rate for online versions of print publications and below the same publications’ fees for appearing in print. The attention Marco got both as creator of Instapaper and for creating an interesting app, while also in early issues publishing the writing of a number of Mac luminaries and well-known developers, led to a surge of early subscriptions. 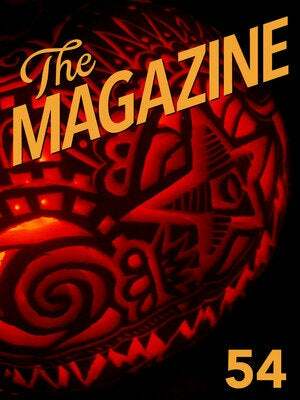 At our height, the magazine had nearly 35,000 monthly subscribers paying $2 every month. Our peak, however, was February 2013. Knowing the numbers full well, I bought The Magazine in May 2013. We now have about 2,000 yearly and 4,000 monthly subscribers. I can’t and don’t blame Apple for declining subscribers. I bought the publication hoping with a revamped responsive website, I’d attract more web-only subscribers, and with a couple of decades of marketing experience alongside my editorial background, that I’d be able to either reverse or stabilize subscriptions. I can’t and don’t blame Apple for declining subscribers. We had started more as a journal of essays on topics that weren’t quite technology, but of interest to those who were geeky. Over time, we’d add reported features and gone a little farther afield. Many early subscribers came on board for a few particular writers, like John Siracusa or Marco, or had subscribed to see what a new publication in this format was like. They rapidly fell away. This is typical, too. People cancel their subscriptions for all sorts of reasons: boredom, finances, displeasure with an article, and more. At the same time, new subscribers (hopefully) come on board all the time. The key to a successful publication is managing churn so that you wind up with more new subscribers than the ones you lose. We weren’t subject to the issues that have seemingly led to major publishers not finding real success in Newsstand sales, as opposed to large numbers of people with subscriptions elsewhere using their apps to read a digital, offline edition. But we had a separate set of interrelated challenges as an independent by the time iOS 7 shipped. First, it’s very difficult to communicate with subscribers; second, Apple emails monthly subscribers every month with a billing reminder; third, the app needed to be in continuous development to add new features and mature; and fourth, Apple brushed Newsstand to the side with its new flat design in iOS 7. Apple turning apps in the Newsstand essentially invisible curtailed any possibility of a revival. Finally, Apple turning apps in the Newsstand essentially invisible curtailed any possibility of a revival. Marko Karppinen wrote sensibly in October 2013 that his publishing platform firm could no longer recommend to its clients that they develop new publications to appear in the Newsstand: “Once downloaded, Newsstand publications are hidden away within the Newsstand app.” If I moved my app out of the Newsstand, all the in-app subscriptions would have been cancelled, dooming it. The faux folder also behaves differently from all others. You have to tap the Home button to exit the publication and then again to exit the folder. This drives countless readers nuts, based on email and public comments about my and other publications. I have hundreds of emails from readers beginning with the release of iOS 7 complaining that they forgot to read new issues, even with notifications and having subscribed to our low-volume, announcement-only email list. Many would get their billing warning each month, realize they hadn’t read a single article in weeks or months, and cancel. I didn’t blame them. However, I persisted, hidden away, watching subscriptions disappear by the thousands each month. In November 2013, I launched a Kickstarter campaign to produce a hardcover anthology of our first year, and it funded well above its target, raising nearly $57,000. Some of the “extra” funds from the Kickstarter were plowed into a website design and more app development. I was hoping the attention from the Kickstarter would provoke a new look at the publication, but its support was mostly garnered from lovely people who already knew about it. But with revenue continuing to ebb, I was never able to finish the work with the developers nor launch the site redesign, either of which might have had a beneficial effect, but it was hard to see how. Because we were unintentionally nearly all-in with the App Store, the design and feature changes there affected us strongly. With yearly subscriptions (some sold during the Kickstarter campaign), about 75 percent of our revenue in the last 12 months came from the Apple Store; for monthly subscribers, it’s over 90 percent. During 2014, I shed expenses, reducing our scope and some articles’ length, communicating to readers as we went, and transitioned to TypeEngine’s publishing platform to keep up with iOS 8 and be on track for future improvements without supporting the development cost directly. But the writing was on the wall: Even with a new app and a loyal base of readers, we couldn’t continue without slashing writing fees, and I already feel we pay at the bottom of the scale I’m comfortable with for the quality we demand. While profitable from the first week, that margin has shrunk to a sliver. 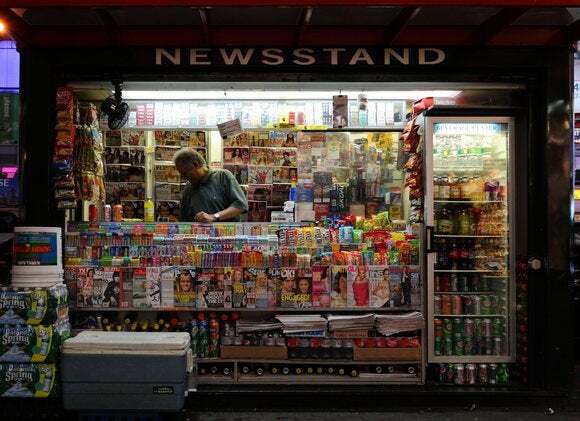 The Newsstand abides, a wasteland for publications that only use it as an adjunct—and us.